The only fish with a face and disposition uglier than its name: the Monkeyface Prickleback. Time can be so fluid when fishing. Seconds, minutes, and hours can all meld together when you feel weight or a tick on the end of your line, melting into a soup of suspended timeflow that is so personal and subjective you cannot look back after the fact and know the real duration of an event. When I felt weight, it had to be just a second or two, but I felt the dark shadow of eternity creep into that moment as I began to mentally debate whether my hook had found purchase in a fish or a the salt-aged wood of the pilings below. After all, it was heavy, and though I’d caught rockfish and Cabezon up to two pounds or so, this felt heavier. And unlike the popular bottomfish, it wasn’t pulling. The fight was not unlike the Shortfin Eels I caught in New Zealand: a roiling mass, death-rolling with all the tenacity and venom of a Presidential hopeful trailing in the primaries. When the squirming creature finally broke the surface some 20 feet below, the disconnect was palpable. I knew it wasn’t a snake, but it looked like a snake. A part of my mind knew it was a fish I’d long dreamed of catching, but another more aggressive part of my mind was focused on the impending peril of the nearby sea lion that had clearly noticed my prize. I take care to use light enough gear to enjoy the fight of the surfperch I target, but I also use line heavy enough to lift a two- or three-pound fish up the 20 feet to the pier at low tide. This fish wasn’t going easily, though. Clearly not tired out, it twisted and writhed in a mesmerizing, serpentine dance of Satanic origin. The ever-present gawkers shrieked and gasped and held their children close as I brought it onto the damp wooden landing of the pier. While most fish flop on their sides when removed from the water, this fish turned onto its belly, coiled and ready to strike. Reaching for the hook with my bare hand, it lunged at me. Well, lunged is a bit dramatic, but it made an effort to bite me. Its teeth were certainly sharp, but small, so I unhooked it as it wrapped its body around my hand, intent on suffocating the hapless appendage and dragging it down to Hades. This was a much better fish than most of what I’d caught that day, and since I’d dreamed of catching a Monkeyface Prickleback since I first heard of the fish nearly 15 years earlier, it was a special moment. Naturally, the fish wouldn’t pose for a good picture, but I got its profile and tossed it back into the water, where its slinky dark form returned to hide in the structure of the pier to lurk in the unthinkable blackness of a nightmare. I caught another,much larger Monkeyface Prickleback later that year, and I confirmed what the gentleman had said. Along with Cabezon and Lingcod, Monkeyface Prickleback is as good as any fish I’ve ever eaten — a validation of the saying “Never judge a book by its cover,” I suppose. What a looker, right? 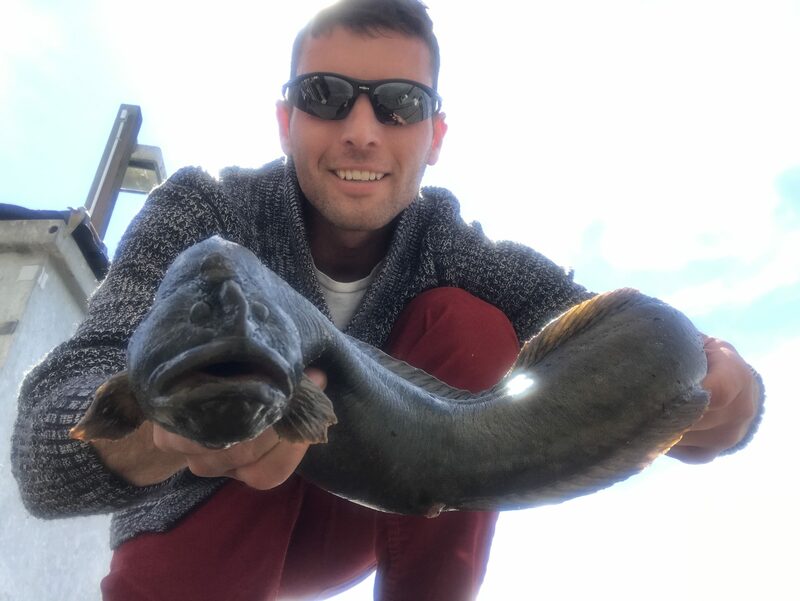 This Hellbeast wasn’t my first Monkeyface Prickleback, but at just 3 ounces shy of the IGFA All-Tackle World Record, it was certainly my largest. These fish are relatively uncommon for those fishing with standard angling gear, but anglers on the Northern California Coast target them with a method called “Poke Poling”. Poke Poling is essentially using a long pole with a baited hook attached to the end that they stick into rock crevices. Inhabited holes yield fish that bite in age-old fashion. Since this species is difficult if not virtually impossible to target outside of poke poling, it isn’t sold commercially. That means if you catch one, you need to try it. Just be careful — it will definitely try to bite you. 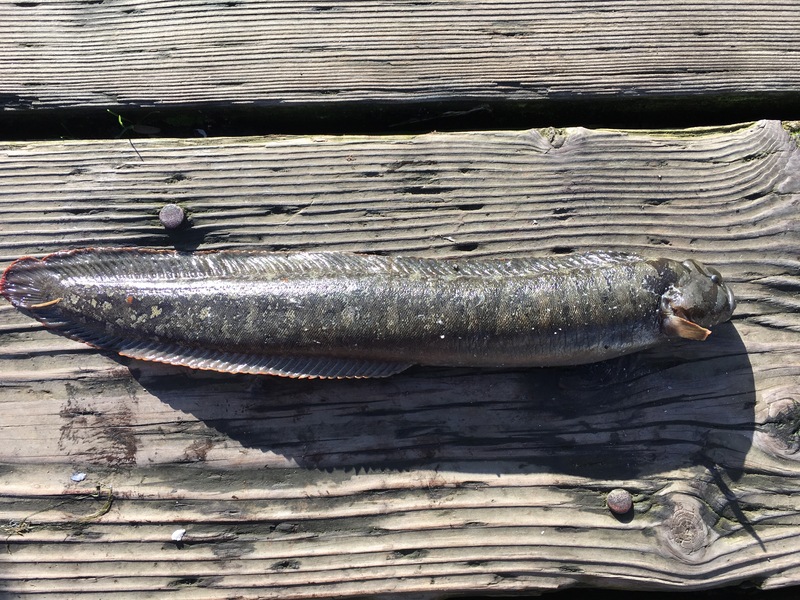 Read the next entry in #SpeciesQuest here: Species #83 — Lost River Sucker.